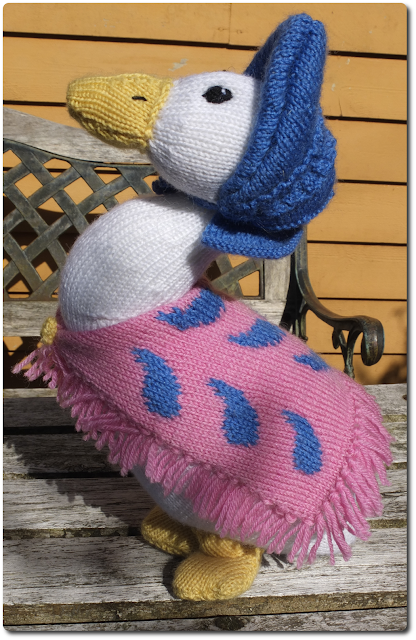 One of my absolute favorite knitting designers is Alan Dart, and a few years back he made a series of designs with the Beatrix Potter characters. (Almost all of them, I think.) I am the lucky owner of some of these patterns, who can no longer be sold due to something, something copyright. 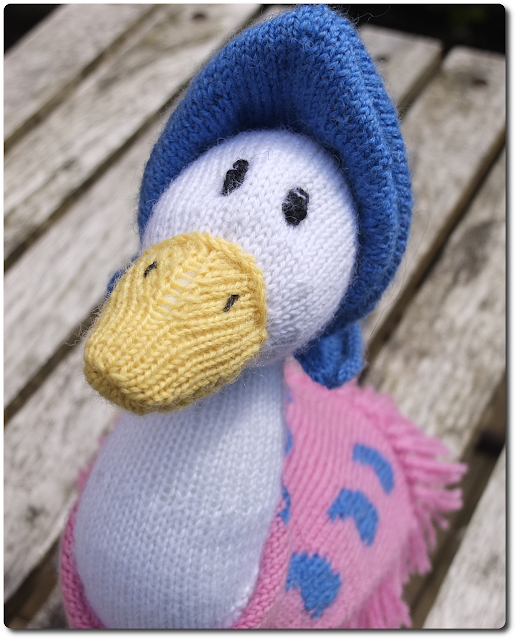 (Although you can get them used from amazon: Jemima Puddle-Duck (Knitting Pattern) ). 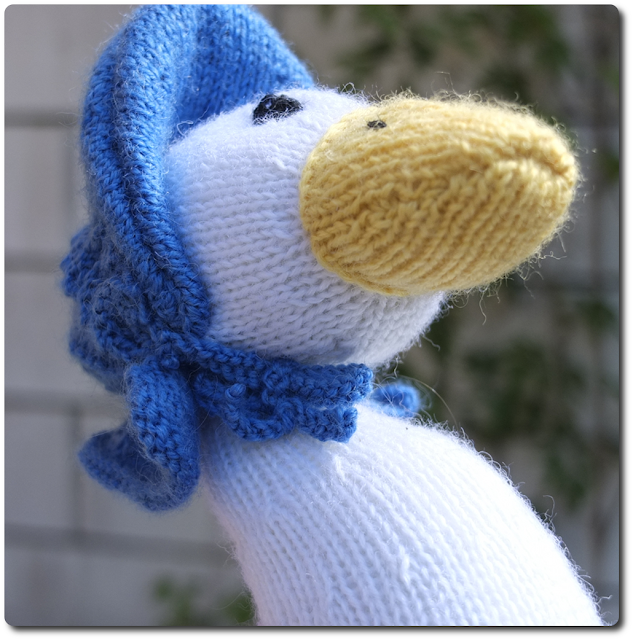 And now I have made my very own Jemima Puddle-Duck. I made her almost as the pattern is written, the only exception being the scarf. She was made with Silja yarn in the colors white nr. 302, black nr. 301, yellow nr. 358, blue nr. 307 and pink nr. 323. 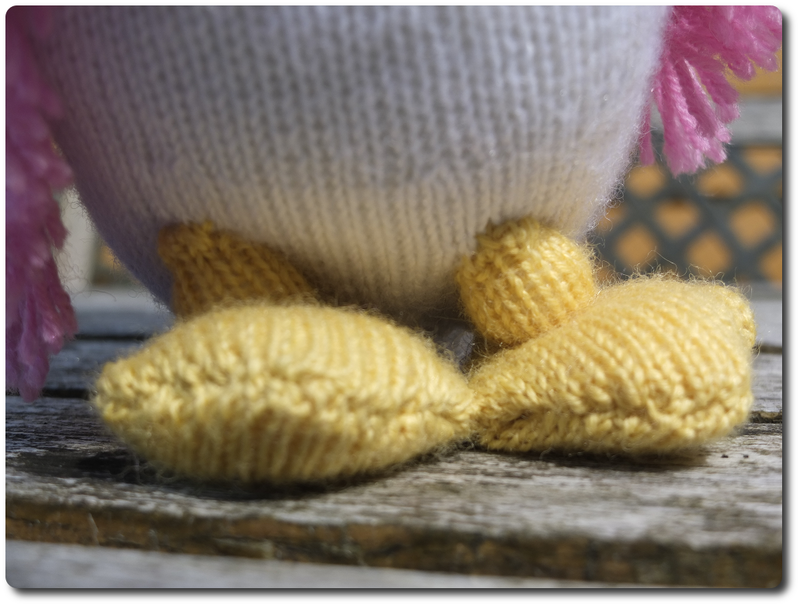 I used 3 mm needles and ordinary toy stuffing. 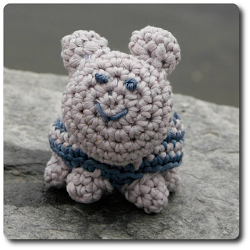 The pattern says to use "washable toy stuffing", but I've never been able to find something that dries up properly after a wash. Maybe it's something they have in England, and not here. As with all Of Alan Dart's creations, the pattern gives a nice facial expression. 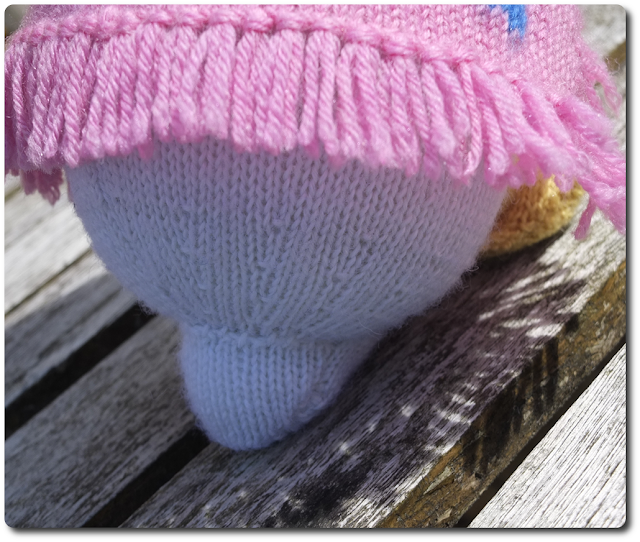 The bonnet is put together from quite a few flat pieces, so the sewing takes a bit of time, but is really does look like the Jemima Puddle-Duck drawings in the Beatrix Potter books. The feet are put on a little crocked, by mistake originally, but it turned out to be quite pretty and gave the figure a sense of being in motion, just like in all the images from the books. Often Alan Dart patterns call for swiss darning, witch I hate, with a vengeance. So I knitted the pattern on the scarf. I took a long time to chart, but was well worth it to not have to swiss darn. The only thing I would have done differently if I were to do it again, was to put a little lead or heavy stuffing in the tail to give the figure a bit more balance. Now she is a little wobbly. Hi, would it be possible to buy a copy of the pattern from you? 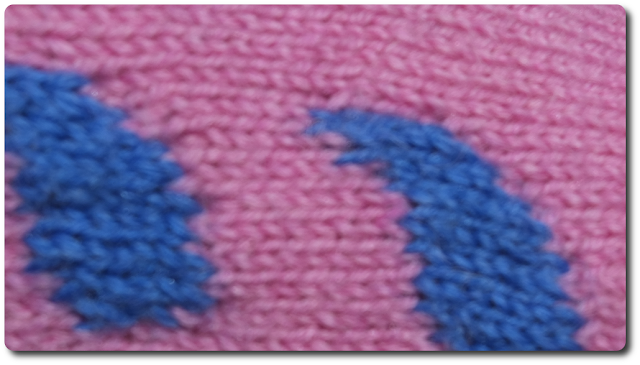 This blog will be about my journey from being an avid knitter to writing my own patterns. I want to knit what I imagine, but I will of course keep on making projects from others patterns, as well. Here you can take part in the journey, share your own experiences or simply use the patterns I will hopefully create.